The majority of your boat-owning customers will soon be returning to their vessels, having laid them up for the winter. However, inclement weather and other factors, may have affected your customers’ boats during this time, so it’s important they understand how to get them ready for the spring. 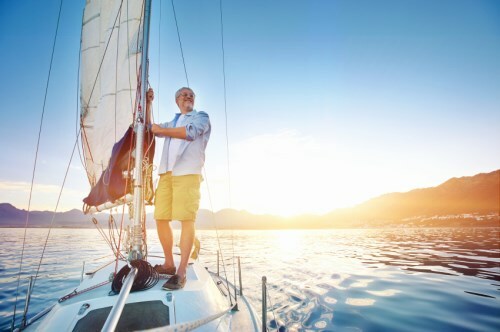 Research from one of the UK’s leading boat insurers, Navigators and General (N&G) shows that there is a large increase in boat insurance claims at this time of year, with 66% more claims made than the monthly average. Importantly, a high proportion of these claims are due to weather-related damage. We take a look at the main risks faced by your customers’ boats over the winter months, and have provided a checklist for what your customers should look out for when returning to their boats for spring sailing. The UK has had a very wet and stormy winter, with Storm Desmond and Storm Frank battering much of the country in recent months. Many of the biggest risks for your customers’ boats relate to damage that can be caused by strong winds and heavy rain damaging canopies, covers and electrics. While this has not been a particularly cold winter, the north of the UK has experienced harsher weather, and frost may have damaged engines and caused pipes to freeze and burst. The risks also extend beyond accidental damage. Longer nights and colder weather means fewer people would have been around at boat yards, potentially making your customers’ boats an easier target for thieves if valuables were left on board. Valuables, including electronic equipment such as GPS plotters and radar displays, should always be removed from your customers’ boats when they are not being used for long periods. Your customers should also look out for any signs of intrusion and make sure that doors and storage areas are secure. Lockers should be checked to ensure your customers still have all their marine equipment, such as winch handles or even the anchor and chain.